With Thanksgiving just a few days away, we are all getting ready for the biggest feast of the year. You might be following your timeline to ensure your turkey defrosts on time, or searching through Pinterest boards for those last-minute table decorations. All the planning and prepping to make sure everything comes out just right can be overwhelming. It‘s easy to lose sight of what really matters — that this is a time of togetherness, sharing, and giving thanks. Several years ago we hosted Thanksgiving at our townhouse. There were twenty people on our guest list, which was about as much as our limited space could handle. On that Thursday, we were busy cleaning and decorating our home. Orlando had brined the turkey for a couple of days and the appetizers, sides, and desserts were all done. We’d set up two long portable tables in our dining room and put away the kids’ toys and unnecessary furniture. It was tight, but it looked pretty. In the midst of the party planning commotion, I received a call from my friend Joana. “No, I’m not,” she replied solemnly. Joana had planned to attend her family’s Thanksgiving celebration, but that morning she discovered that a few of her staff had no place to go. She immediately called her aunt who was hosting the feast. Joanna explained the situation and asked if she could bring a few extra friends to the party. Joanna understood but didn’t want to leave those people stranded during the holidays. She called me to ask if she could join us instead. Orlando and I had to think about it for a minute. We, too, had every seat accounted for in our tiny townhouse and we didn’t know the people she was asking to take. But we trusted Joana, and we knew if it was significant for her to find a place for these people to have Thanksgiving, then there must be a good reason for it. Our home got pretty crowded that evening. My cousin brought an extra small turkey to make sure we had enough food and some of us ate sitting on the couch to make room for our new guests. With a few minor adjustments, everything worked out. What I learned that day was that no one cared if there was a beautifully decorated place setting for every guest, if our space was too small, or if they had to have a smaller portion of sweet potato casserole. Everyone was happy and everybody felt welcomed. Joana was grateful to spend the night with her friends and the crew she cared so much about, and we all had a lovely time getting to know our surprise guests. It became the most memorable Thanksgiving we’ve ever had… and the one we talk about most fondly. That’s how life is. The moments we most treasure are usually perfectly imperfect. So don’t sweat the small stuff. When you live life with open arms and an open heart, there is abundance, beauty and joy in everything. Many of us are blessed with family, friends, and a great support system—but many are not. Sometimes the most generous gesture you can make is to make room at your table for that extra person who would otherwise feel left out or insignificant. This is significant at work, at home and in social gatherings, and it is crucial to teach our future generation. Sometimes big disappointments prepare you for bigger opportunities. How can you protect your kids from having their self-esteem crushed but also prepare them for real life? How do you teach them to work hard, chase their dreams, and take leaps of faith, and at the same time explain to them that working hard doesn’t always pay off, that dreams are sometimes just fantasies, and that the net doesn’t always catch you when you jump? How do you prepare them to plow forward, when you struggle with this paradox in your own life? We’d been afraid that this might hurt their relationship, but Orly showed incredible grace and maturity when he was able to separate being happy for his brother from being sad for himself. Winnie The Pooh’s opening night coincided with Orly’s birthday. He received a gift like no other, when four 21-year-olds from the Pippin cast, showed up to watch Orly perform. We’d gotten to know these students from the UM Theatre School since we spent a lot of time waiting around for Justin during rehearsals. I’m sure they had much better things to do on a Friday night than attend a kids’ show, but theater people are special. This goes to show that you can build relationships even when you’re on the side-lines. You never know what those relationships will mean in your life. We’d connected with these young adults in a magical way—and we knew someway, somehow, we’d meet again. Our son’s wounds scabbed, and our family bond grew stronger. It was a time of learning and healing. One Saturday morning, Orlando sat in the terrace browsing through his phone as he enjoyed his morning coffee and weekend mini-cigar. I swung in my hanging chair, writing on my laptop. “Check this out, Caro.” He interrupted me. He’d seen a cool event happening in New York that the kids would love, and immediately looked up flights. “Tickets to New York are super cheap.” He also found discounted prices and availability in a great hotel in the heart of Midtown. It was a great deal. “Let’s do it, babe.” I agreed. Uh oh, I thought, knowing my husband. We find a way to meet in the middle. 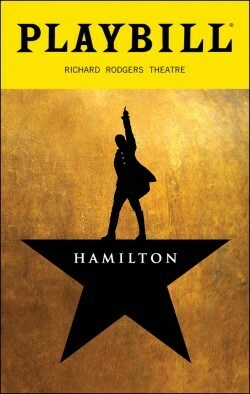 After an hour debating the pros and cons, I begrudgingly agreed to buy the Hamilton tickets. Goodbye cheap trip to NYC. Nonetheless, we couldn’t wait to surprise our kids on Christmas. There is nothing better than kids who trust their parents. I adamantly dislike pre-teen shows and kid super hero movies that make the parents look like morons. I’ve never understood why these companies would program children to distrust their parents. That programming encourages children to turn to their peers and social media for guidance when they need it, and that can steer young people in the wrong direction. He called the director who emailed us. “Thank you for your email. Orly would love to be considered for this role. Please let us know when the audition is,” Orlando said. We couldn’t wait to share this news with our son. As soon as we got home, we sat Orly down on the sofa. His brothers gathered around being nosy. “Orly, you remember how sad you were that you didn’t get the part of Pippin?” His dad asked. “Of course I do.” Orly smirked. “Yea, sure.” Orly said but his half-hearted response showed he wasn’t confident about getting the part. “Why not?” His face turned serious. Orly jumped off the couch and ran around the house. Justin ran behind him, hugging him and screaming. “Dad, you promised she’d remember me, and she did! I can’t believe it.” Orly hugged his dad. It was a golden moment in parenting world. A moment that we hoped would yield our kids’ trust in the future.But it was also a life lesson for all of us. We audition for roles, interview for jobs, submit articles for publications, and invest our resources hoping for that opportunity which is right in front of us. It’s devastating to be rejected. It feels like we’re not good enough or smart enough or connected enough. 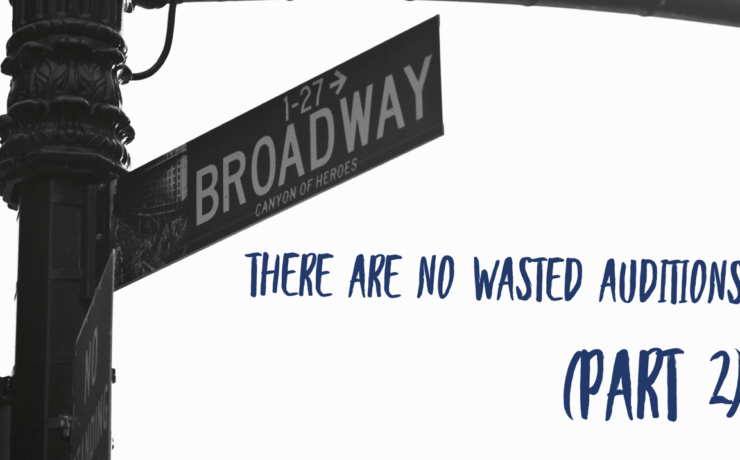 But the work is never wasted. The investment of time, energy, and honing your skills is not lost—unless you quit. If you stay on course, other opportunities will appear. All that work and effort will suddenly be worth it. You’ll realize you’d been in training for something bigger; you just didn’t know it at the time. For a moment, everything was right in our world. And then, I opened my calendar to pencil in the dates of the workshop. “Orlando, can I talk to you for a minute in private?” We walked into our bedroom and closed the door. God sure has a sense of humor. Do we lose thousands of dollars and cancel the surprise trip we planned for our children with so much love? Or do we decline the opportunity our son was given in furtherance of his dream of becoming an actor? Stay tuned for the final post on this story next week, and find out how we handled this conflict. The hardest thing for a parent to do is watch their kid fail. But without failure, there is no true success. “Audition Opportunity!” read the subject line of the email. My nine-year-old, Orly, is passionate about acting. He wants to be on Broadway one day. He’s auditioned for several roles in different theaters, which landed me on multiple mailing lists. “Looking for three to four young actors, any age but under 4 feet tall, to play the role of Theo in our upcoming Tony Award winning Broadway musical, Pippin” University of Miami’s Ring Theater was hosting the audition. 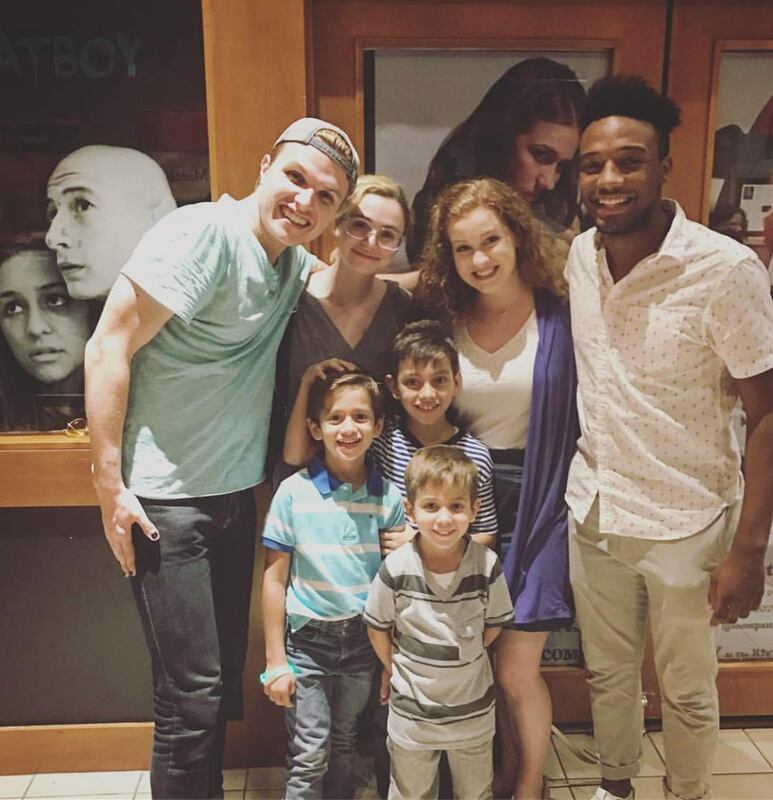 Theo was the only child part in the play, meaning the young actor would be performing alongside University of Miami’s junior and senior theater students. They were looking for three or four actors so that the children could alternate in between performances. Knowing my son would kill to audition for this, I forwarded the message to my husband. Not two minutes later, the phone rang. 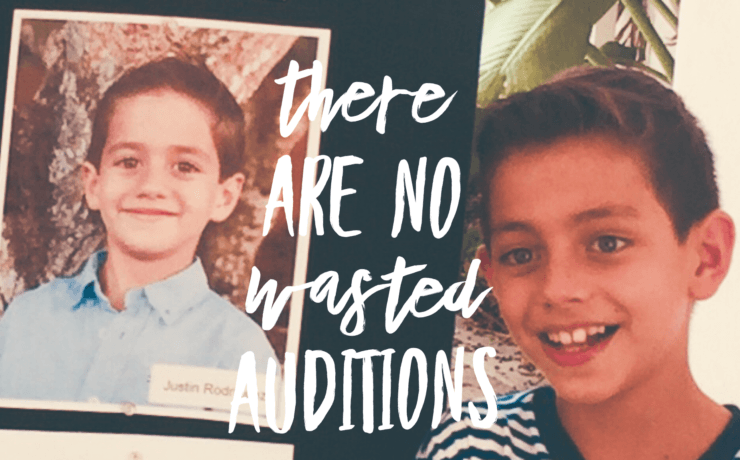 Justin was our adorable six-year-old who has an incredible ability to memorize lines, but his personality is very different than his brother’s. “Do you think Justin would want to do something like this?” I asked. “That would be awesome,” I agreed. Justin was less enthused. “Justy, tell us. Do you want to audition for Theo?” I stroked his cheek. “You don’t have to if you don’t want to, buddy. But we think it would be a great experience for you and imagine how cool it would be if both you and your brother got to be in the same play.” Orlando said. “Okay, I’ll do it.” He said casually. After dinner, Orlando played some of the Pippin songs so the boys could become familiar with the play. Orly began rehearsing right away. For the next few days, I’d hear Orly singing alone in his bedroom and in the shower. He was always practicing. He’d auditioned for roles before but had never taken them quite as seriously as this one. They nodded their heads and off they went with their dad. Upon their return, I got the details. Orly had a great audition. Even the director commented on how well he did. Justin, on the other hand, was all over the place. He sang well but was fooling around and being silly. Orlando and Orly were not happy about his behavior. “Nothing yet.” We continued to prepare both of them for the possibilities we had discussed earlier. Then I got the call from Orlando. “Are you sitting down?” His voice sounded surprised. Could they have both gotten the part? Is it good news or bad news? “Justin got the role of Theo.” Yes! They both got the part. “So they both got in?” I confirmed. I never considered that Justin would get the role over his older brother. “But didn’t you said he was fooling around during the audition?” I asked. “Orly is going to be devastated,” I said softly. We’d been telling our son to work hard and be prepared and that would get him to where he wanted to be. But his little brother was getting the role even though he barely worked for it. As much as we loved Justin, we felt disappointed. It didn’t seem fair or right. Orly wanted this more than his brother did. He worked harder. He deserved it more. For a moment, we thought of telling the boys that neither of them got the part. Justin wouldn’t be as devastated as Orly would be—but only for a moment. Are we crazy? We can’t do that. Justin deserved to have his moment in the spotlight as much as Orly did. And whether he had been fooling around or not, he had earned his role and it was our responsibility to celebrate that. Besides, we have to let our kids fail. We’re not doing them any favors by shielding them from disappointments. These moments build character. We knew what we had to do, but it was painful. With my poker face on, I told my son to get ready to go to the grocery store with his dad. He put his shoes on and rushed out of the house. Orlando drove them around the block and parked in a nearby school parking lot. “What are you doing, Dad?” Orly asked. “Orly, I have something to tell you. 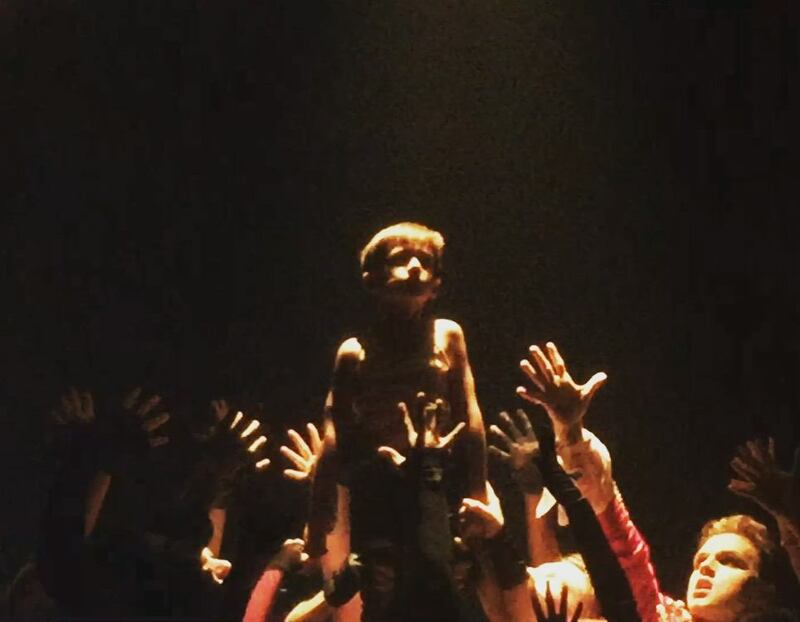 Justin was chosen to be Theo for Pippin, but you weren’t.” Our son’s eyes dropped down to the floor. “But if I did so well, why didn’t I get the part?” he asked. Orlando pulled Orly close to give him a hug. Tears streamed down both of their faces. Justin ran right into Orly’s open arms. “Why are you hugging me?” He asked mid-hug. There are moments in life you will never forget. Watching this young boy, whose glossy eyes and pink nose revealed he’d been crying, put aside his feelings to celebrate his brother was one of those moments. I couldn’t have been prouder of my son. We do not take promises lightly in our home. Having our children’s complete trust and confidence is one of our biggest priorities. Orly knows that, so this was an extremely loaded question. A smile crossed our son’s face. We kissed him and walked out of his bedroom. On the opening night of Pippin, we left Justin backstage and took our seats in the theatre. “Because I’m so excited for Justin.” He squeezed my hand as we waited for his brother to take the stage. I felt a little proud, a little sad, and a little hopeful that our son would be rewarded for his commitment, courage, and character. But no matter what, I knew everything was going to be alright. Let Go of Presumed Resolutions This Year! January is notorious for increased gym memberships, fasts, diet plans, and energized people ready to tackle the year to come. We tend to make resolutions that are tangible – like losing weight, exercising, or traveling. And then there are what I call, “presumed resolutions.” These are resolutions we should make to achieve an intended result, but we leave those results to chance. 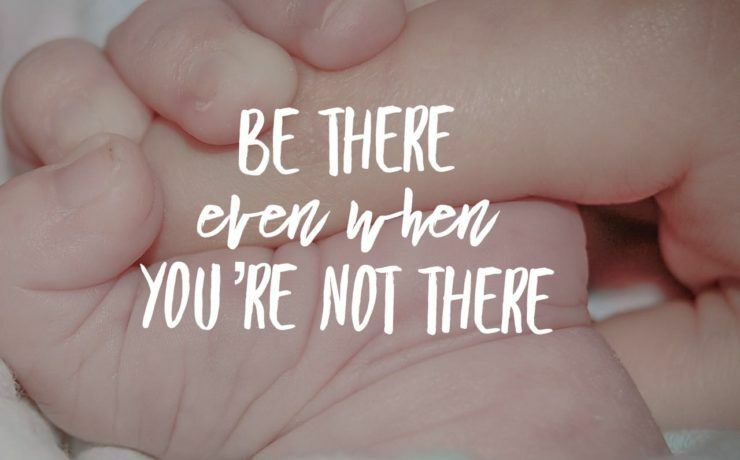 For example, I would guess we all want to have meaningful and close relationships with our children, but we assume that happens automatically if we are “good” parents, grandparents, aunts or uncles. Yet, good people don’t always have great relationships with their kids, do they? I want to share with you a resolution you can implement today that can help you have a meaningful relationship with your child in the years to come. It’s based on a true story. On December 13, 1979 – five days after I was born – my father sent me a postcard. Yes, only five days after my birth my father had to travel for work. The truth is that I didn’t need my father during my first week of life, nor would I miss him if he were gone. The only thing a baby needs is to be fed, changed, wrapped in a blanket, and loved. My mother was doing a perfectly fine job of caring and loving me, so I didn’t need anyone else. I did not read that postcard or even know that he sent it until I was 36 years old. Over the years my father sent me hundreds and hundreds of postcards. Many were thrown away or lost in the mail, but when I was old enough to read them, I would wait for the cards to come in the mail and I collected them in a cardboard box. 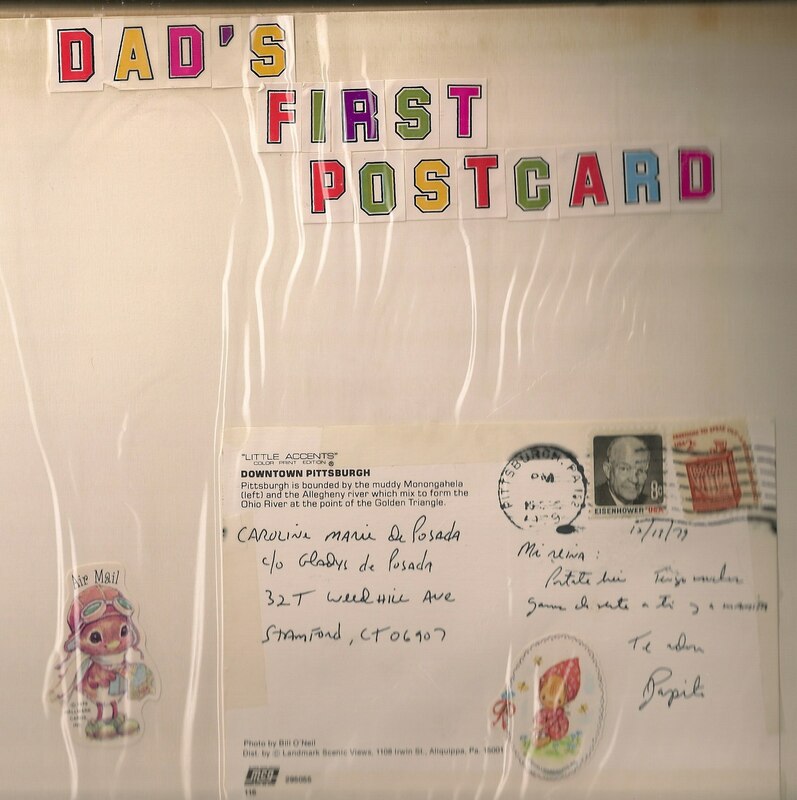 I loved receiving those cards and even though I didn’t realize it then, it was through those postcards that my father consistently communicated his love for me. One day my mother came over to my home holding several large, old photo albums. She’d been doing some spring cleaning. “It’s time for you keep these in your home; I’ve held on to them long enough!” she said handing me the albums. I flipped through the pages, seeing pictures of myself as a baby and little mementos my mom had kept –the hospital card, the hospital bracelet, a little card that came with a bouquet of flowers. And then I saw it, Dad’s First Postcard, preserved for 36 years in a self-adhesive photo page. I wasn’t surprised to see a postcard from my father, but what I couldn’t believe was how soon he started sending them. Why would he send me something he knew I couldn’t read or appreciate? My dad knew he’d always be traveling because of his career. He wasn’t going to be physically with me every day, but he wanted to be close to me regardless. He made a promise to send me a postcard from everywhere he went so I would always know he was thinking of me. My father couldn’t control whether my mom would save the card for me or read it to me when I was older. (Luckily for him– and for me – she did save the card for me.) He couldn’t control whether the card would be lost in the mail or if I would ever know that he sent it. The only thing my father could control was sending the postcard. That’s the thing about relationships. You cannot predict how the other party will respond. You can’t ensure that the other person will appreciate your efforts or sacrifices. The only thing you can control is your own actions. So what can you do to create a special relationship with your child this year? Start today. Make a promise to your child you know you can keep. That promise will depend on your personal circumstances. Are you divorced and only see your child every other weekend? Do you live far from away? Do you live with your child but work long hours? Do you travel often? Is the child a niece or nephew or grandchild? Call every day. Facetime. Skype. Send a postcard. Send an email. Do whatever works for you … but do it consistently. Don’t worry whether or not your baby is old enough to know the difference. This is as much a promise to yourself. It doesn’t matter what route you choose or what promise you make as long as the message to the child is clear: I love you. Don’t leave your relationships with your children to chance. Not this year. Take control of that which is in your control, regardless of the circumstances. Do that and you’ve already won half the battle. Thanksgiving is a time when families unite to give thanks for our blessings and eat too much. But we can’t always be with the people we love on this special day. Your family may be out of town and you can’t visit them this year. You may alternate where holidays are spent— “One year with your family and the next with mine.” You may be divorced and your child is spending Thanksgiving with your ex. Maybe you are celebrating this special day with your family but a special someone you’re grateful for will not be with you. Or perhaps your employees deserve a big “thanks” for all they do at work. Here are three Thanksgiving traditions meant to strengthen relationships and express gratitude for the important people in your life … without affecting your waist line. Nowadays, people have so many forms of communication available. Cell phones and computers make it easier than ever to stay in touch. Yet sending a postcard is special. For one, we are not used to receiving cards in the mail anymore so when we do receive one, it’s a novelty. If that card happens to say something like “I’m so grateful to have you in my life,” it is a gift. A postcard requires a little more effort than a text message or an email, which make your person feel special. Finally, a postcard allows you to write things that may be hard to say in person. Writing something loving on a postcard makes connecting easier. And they can keep it forever. 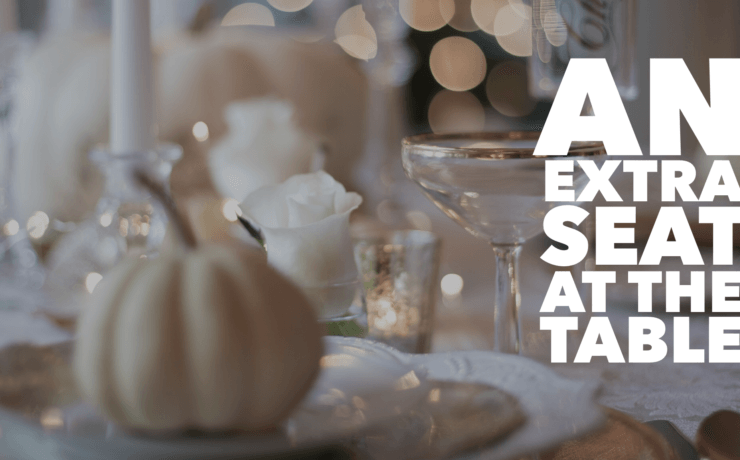 Hosting a Thanksgiving celebration? Here’s a way to give your dinner meaning and purpose. Give each guest a card or postcard and ask them to write down what they are grateful for this year. One year we had our kids write a card to each of our family members expressing why they were grateful for that person. My family loved receiving their cards, and the kids loved giving them. Or make a game out of it and put all your guests’ names in a hat. Have each person pick out a random name and write something kind about them. Your Thanksgiving dinner will be remembered fondly as a day of gratitude and love. Home is not the only place for gratitude. Managers, employees, and leaders all need a pat on the back from time to time. 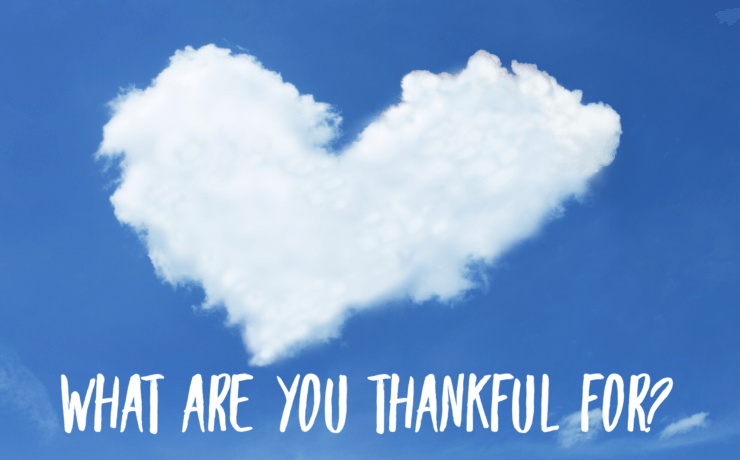 Thanksgiving is a good time to create a company culture that expresses gratitude. Place a box of postcards in one location of the office or give everyone their own set. Send postcards to your employees thanking them for the work they do. Encourage employees to send postcards to each other when one helps another or solves a problem. Tell your boss you are grateful for letting you come in to work late so you can see your child’s award ceremony, or thank him for giving you good feedback. It is always a good time to send a postcard to let people know you’re grateful for them. 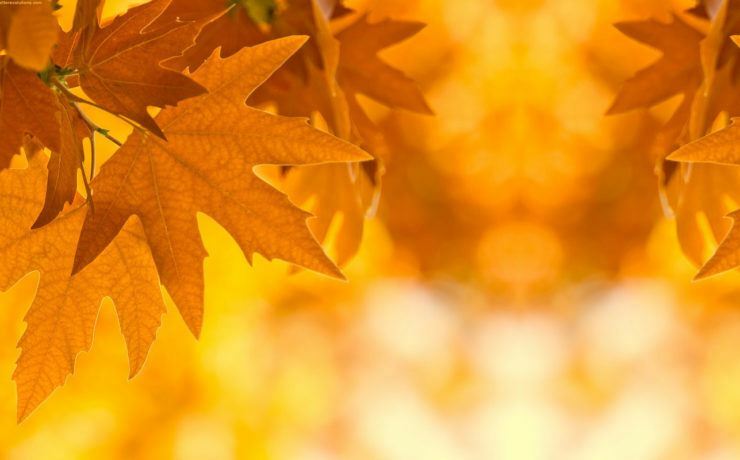 Make this Thanksgiving extra special with these simple traditions. I wish you a wonderful holiday. And THANK YOU for reading this post.